Hi Kelly, tell us a bit about yourself? I am 55 years old and have been married for 36 years to my husband Bob. We have 4 children and 4 grandchildren. I used to be a real estate agent. 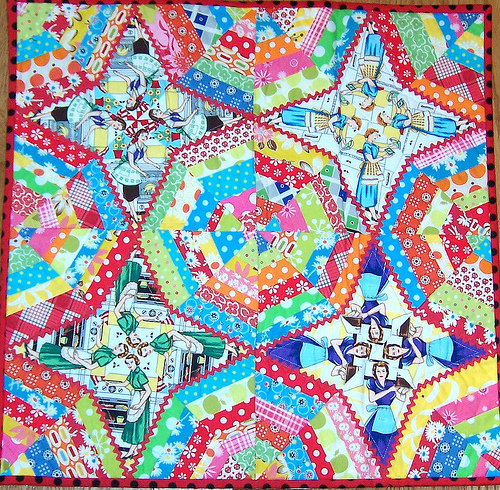 I saw a Lone Star quilt on the cover of Country Living magazine in 1976. 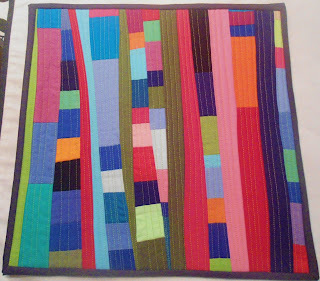 It cost $200 and I thought I would never be able to afford that but maybe I could make a quilt. In hindsight that was pretty inexpensive! I started hand piecing a Grandmother's Flower Garden and end up making a twin size quilt. When we moved in 1986 I threw it out! I thought it was ugly, I wish I had kept it. The creativity is my favorite part. 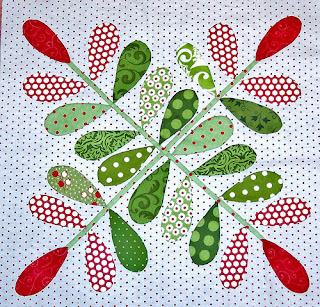 You can give 2 people the same pattern and the quilts will not be the same. The possibilities are endless! 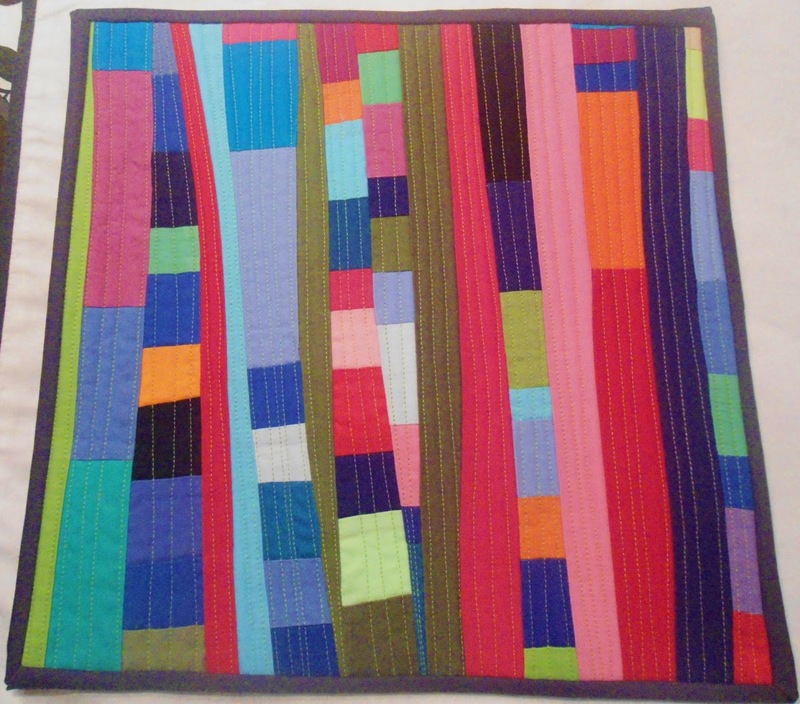 I really don't enjoy squaring up my quilts and they usually need it! It feels very cumbersome to me. Measure twice and cut once. I need to pay more attention to that one. My guilty pleasure is to catch up with the Housewives of New York, or Orange County etc. They are so shallow and total junk tv, I love it. We don't have any pets, but lots of grandchildren. 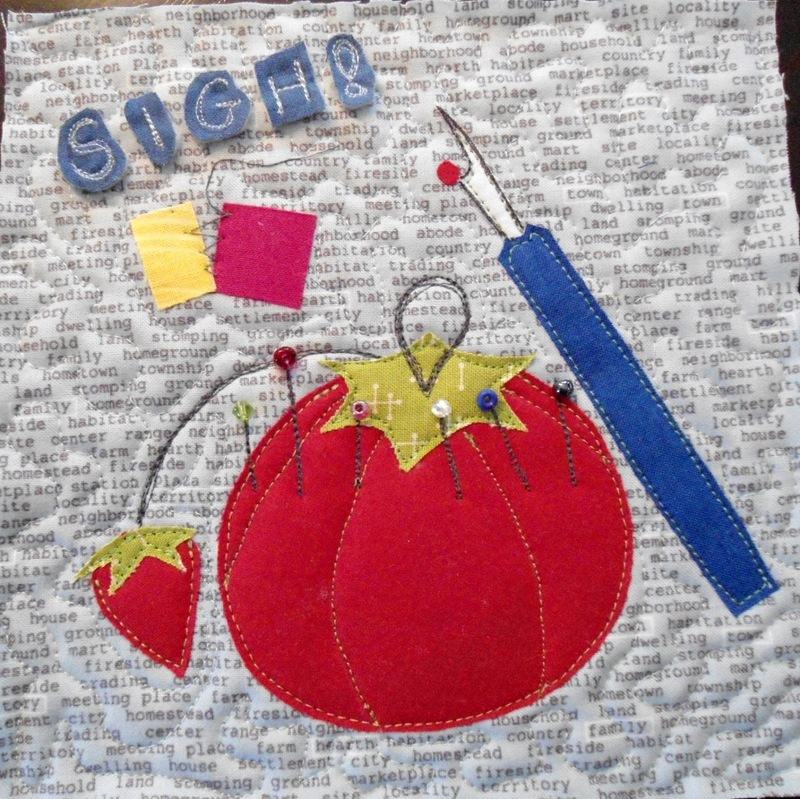 My granddaughter Maddy is going to be a quilter, she is always in my sewing room playing with pins and such. When is started pulling fabrics I saw the white daisies on the blue background. In my mind I instantly thought Blue Mountain Daisy! So the rest of my fabrics were selected using that as a background. I like using big prints so it was perfect. I also know you like flowers as much as I do so I had to be sure to include one in the block and bigger is always better! I like the whimsy of a big giant flower. I have so enjoyed getting to know you through our blogs and I really hope some day we can meet in person! Pop over to Kelly's blog Pinkadot Quilts here and check out all her wonderful sewing adventures. I love Kelly's hose block! She has a whole quarter acre block AND a giant sunflower! 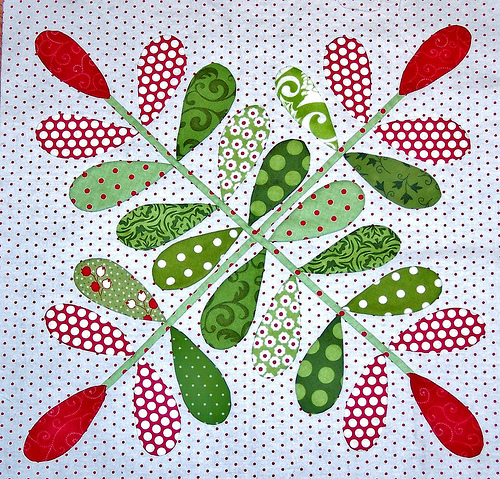 And her red/green applique block is lovely too! ANother great instalment! Gosh that is a gorgeous house block. Love all Kelly's work that you showcased. Belli i blog che ci fai conoscere! What a beautiful house block! When I first saw the block I didn't really notice the daisies, just the golden centres which looked like suns. I can hardly see to type. I think I had better go to bed. Thanks for the Friday interviews and the big reveal of your house blocks. I am a follower of Kelly's blog and it was fun learning a little more about her. Thank you. I love Kelly as my friend, a creative soul and kind person. So glad I found her through.. guess what? Blogging! She is truly one of the best thing that happened to me after we moved to PA.
By the way, those quilts are even more amazing in person. it was so fun to read about kelly. I've been lucky to spend some time with her and she is such a lovely person. I love her style and creativity and visiting her blog always brings a smile to my day. I love the house block she made! Fun to get to know Kelly a bit more! I absolutely LOVE her little house block! WOW! All the little details just make that house block! But I think my favorite is the over-sized daisy. It adds the perfect whimsical touch. 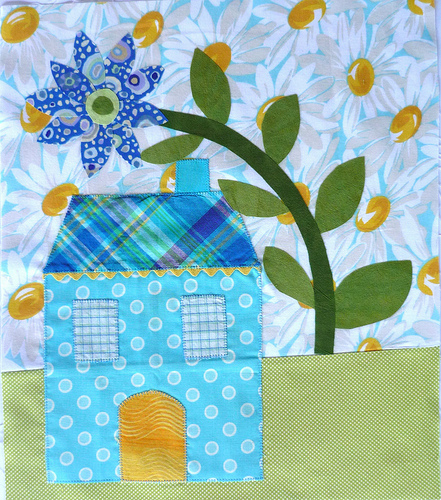 Love her quilts - and that block is great, love the giant daisy! Thank you for the great feature on Kelly, I love her blog! What a lovely collection of her work! Isn't Kelly just the best ever! She always brings a smile to my race or a loud belly laugh when I read her blog. I hope to meet her one day and see all the beautiful pieces that she has created. I think I like Kelly's cottage best! I've seen her quilts on Flickr but not put her name to them -- love the string block with the housewives -- The Housewives of Kaliedoscope Quilt Block? Oh this was such fun. I follow Kelly's blog and it was great to learn more about her! Such a pretty house block. Kelly has been one of my favorite blog-friends. She's always there with an encouraging comment or her own great works for inspiration. Hard to believe she's a grandmother. Thank you for helping us get to know her! Kelly's a great person to know, isn't she? I've been blessed by reading her blog and getting acquainted. You're a sweetie to feature her.